Length of Flex: 50 mm. Height: 3.2 mm. Diameter: 20 mm. 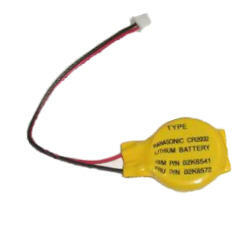 Functional replacement for: 92P0991, CR2032-92P0991. Compatible Models: IBM ThinkPad R40 Series and R40e Series, Evesham Voyager C720DC laptop and more.